I don’t care that the Autumnal Equinox does not occur until September 23rd. Today felt like Fall so I am going to declare it officially fall. I wore a scarf and sweater to work today AND had my first pumpkin flavored coffee; therefore, it is practically official on those grounds alone (BOOM, lawyered). I love everything about autumn in New England: pumpkins, decorative gourds, apples, crunchy leaves, and foliage- my god the foliage. Not to mention that everyone’s office candy quality improves significantly leading up to Halloween. You can’t walk ten feet without immediate access to a fun-sized Twix (thank you Academic Records). There is a certain charm about autumn that cannot be replicated in any other season. Part of that charm is the sense of renewal that I feel. Working in higher education means that it is still acceptable for me to measure my life in semesters. This equates to September being the beginning of a fresh, new start. I crave and enjoy the renewed energy that the students bring into my office despite the madness of the add/drop period. Aside from the start of the academic year, it is also the Jewish new year- Rosh Hashanah. Now I must admit that I am not the best Jew in the traditional sense. I am the equivalent of a Catholic person that only shows up to church for Easter and Christmas. But today I read an interesting article called ‘Jews Don’t Say Happy New Year’ by Rabbi Benajmin Blech. What I loved about this article is that Rabbi Blech dissects a common hebrew salutation and supports his explanation by referencing sources within modern positive psychology. During Rosh Hashanah, it is traditional to say “Shanah Tovah” to one another. I always thought that the phrase translated to “Happy New Year” but it is actually meant to express “the hope for a good year”. The article goes on to explain that wishing for a good year versus a happy year alters the intention of the statement. A good year involves hope for meaningful experience despite personal loss or hardship while a happy year is more focused on the “joy of the moment” (as Rabbi Blech puts it). The “good year” is interpreted to involve more acts of giving and finding purpose while the “happy year” is centered around self-fulfillment. The two are both important and the article notes that “happiness is a by-product of a meaningful life”. So with that, I wish everyone an early (Jewish and otherwise) l’shanah tovah. 1.) September 27th is the 3rd annual Izzy Gala. Who doesn’t love an excuse to dress up in a beautiful gown and enjoy a fancy evening on the top of the Biltmore? This isn’t just about ball gowns and cocktails. Ticket sales and auction items benefit the Izzy Foundation. 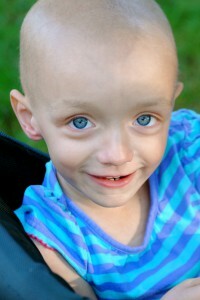 The Izzy Foundation was created in loving memory of my oncologist’s daughter. Izzy earned her angel wings after battling Stage 4 rhabdomyosarcoma as an infant/toddler. 2.) The following day I will be walking in the National Ovarian Cancer Coalition (RI Chapter) Walk to Break the Silence. I am so amazed that only a few days ago I posted the link to my donation page on Facebook and I am already halfway to my goal of raising $1000! My original goal was actually $100 dollars and within 24 hours you incredible people helped me blow past it! I want to thank everyone that has donated thus far. It means so much to me that we can shed light on a disease that is often overlooked. I cannot stress enough that there is no reliable screening tool for Ovarian Cancer which is why over 60% of cases are diagnosed in stage 3 or 4. The more we know, the more intentional we can be in treating this disease and catching it before it gets out of hand.